What labs and other information does my patient need to have done when coming in for an evaluation? Those 18 and under need growth charts. Please note: Lab results are only valued if done within 24 hours prior to your patient’s evaluation. Where should my client get their labs drawn and is the cost of labs included in the evaluation? We strongly recommend that your client have their labs drawn 24 hours prior to their evaluation, through their primary care physician or a hospital. Having lab results prior to evaluation shortens the wait time for determining your client’s level of care. If your client’s primary care physician or other provider completes their labs they can fax the results to the Walden clinic where their evaluation is scheduled. If they feel more comfortable, they may also bring the lab results with them to the evaluation. Below are the fax numbers for each of our clinic sites. Alternatively, if your client is unable to have their labs completed prior to their evaluation our admissions staff will be able to identify an independent lab close to where they will be evaluated and will coordinate their lab draw appointment with them. If they are having their labs completed at the time of their evaluation we will schedule the evaluation as early as possible in the morning. Lab results may take up to five hours to return and level of care recommendation, insurance authorization and admission may be dependent on these results. **Please be aware that the cost of their labs is not included in the cost of the evaluation. Depending on their insurance, the coverage of tests may vary depending on if they are completed through their primary care physician or an independent lab. If your client has questions about their coverage and potential cost, please have them contact their insurer and the office completing their lab work. How soon after the evaluation can my patient start treatment? If your patient’s insurance company approves an inpatient or residential level of care, they will be admitted the same day, unless other arrangements are made with the admissions staff. If their insurance company approves their admission to one of our outpatient programs, they would typically start the program the day after their evaluation. Is inpatient treatment the same as residential treatment? No. 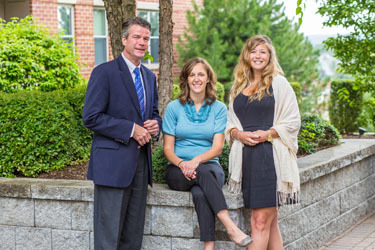 Walden’s Alcott Inpatient Eating Disorders Unit is our most intensive level of care. At this hospital level of care, our main goal is to stabilize patients. This requires that we continuously monitor vital signs and provide 24 hour nursing supervision. Occasionally, nasogastric tube feeding is needed to prevent further deterioration of the patient’s condition. At the adult residential level of care, patients are still medically monitored, but the focus of treatment is to gradually transfer the responsibility of recovery to the individuals themselves as they directly experience and relearn healthy attitudes and behaviors with food. At the adolescent residential level, the program incorporates key aspects of the Maudsley Method, a family-based treatment that has been shown to be the most effective treatment for adolescents with eating disorders. For this reason, at this level of care, teens and families participate in a continuous program throughout the stay. The program is designed to promote the development of individual skills and family structure, to provide a safe environment at home and to allow for additional after care services that continue the remaining therapeutic work. Individuals ages 12 and above. In some cases, we may apply for a single case agreement if an individual is under the age of 12, and we deem them appropriate for one of our programs. For more information regarding single case agreements, please call Kristin Brawn at 781-647-6766 or email her at kbrawn@waldenbehavioralcare.com.